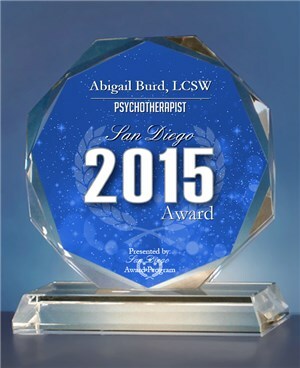 SAN DIEGO November 6, 2015 — Abigail Burd, LCSW has been selected for the 2015 San Diego Award in the Psychotherapist category by the San Diego Award Program. 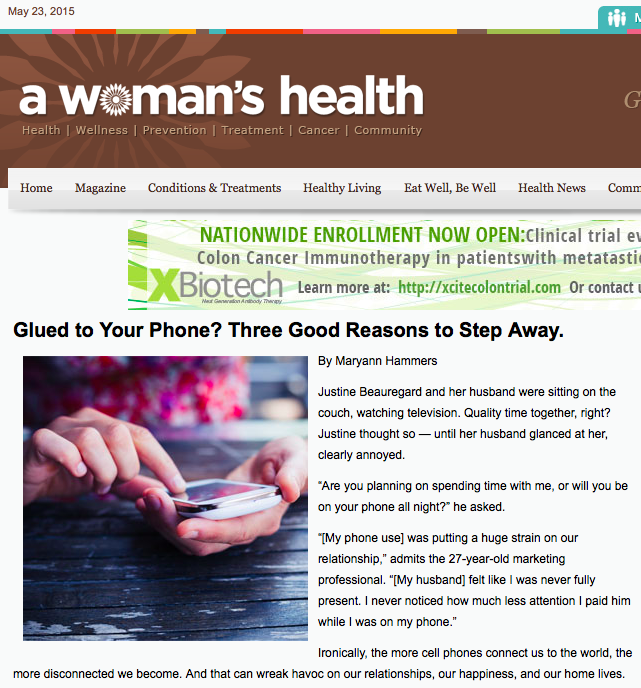 AWoman’sHealth.com (Women Magazine) recently quoted my article on cell phone use in their look at three reasons to step away from the phone by Maryann Hammers. When you’re gazing at your phone, you’re missing out on everything else. “[Your phone use] robs you of the beautiful trees, sunshine, and birds — key elements of mental health and well-being,” says Dr. Bobinet. And your family members — especially children — miss you. “I have seen parents who are so caught up on their phones that they do not notice their small child staring up at them, hungry for attention and affection,” says Dr. Bobinet.